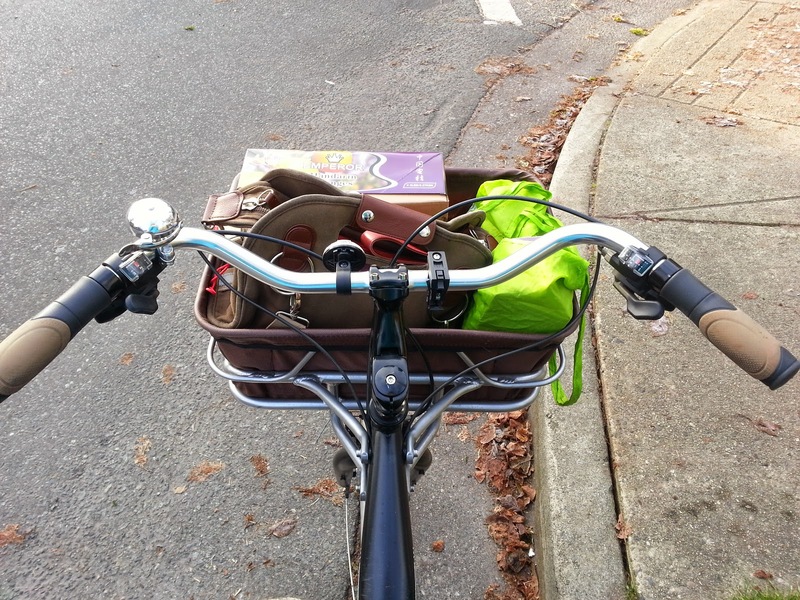 If you ride a bike in BC, you are required to have lights & a bell on your bike. You need the bell just like a car needs a horn, to warn people as you're coming upon them. 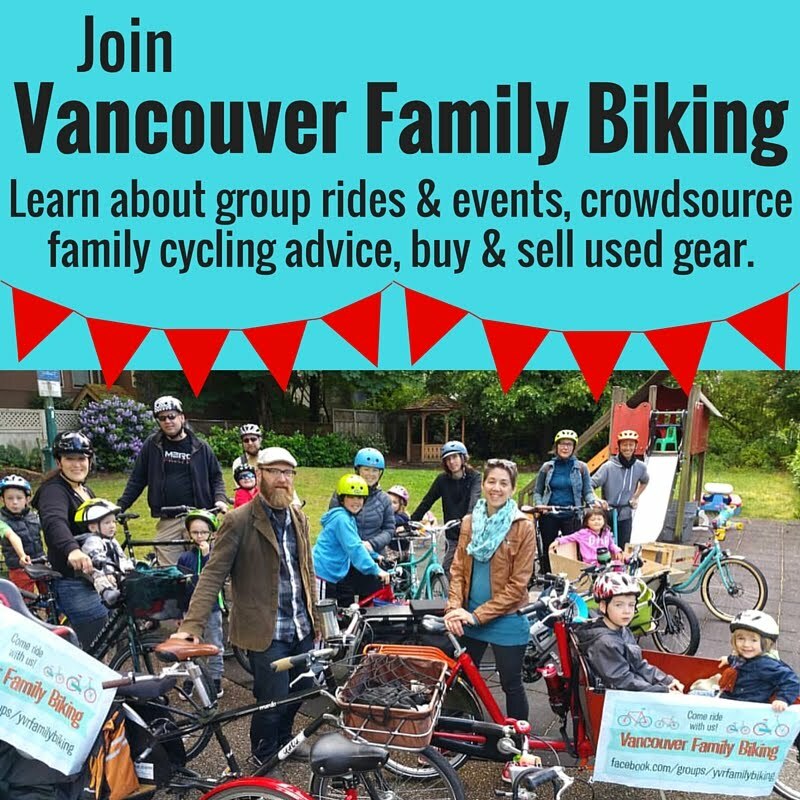 More often, I probably use my bell to say hello to other people--isn't a friendly "ding-ding" so much better than "HONK"?--as we ride past friends, or just other families on bikes. I've tried quite a few bells--I don't think we have two of the same on our fleet of cycles here in the Spokesfamily garage--& my favourite by far is the Planet Bike Courtesy Bell. I installed it on the Yuba Mundo last summer, replacing the run-of-the-mill black one it came with & liked using it immediately. The Courtesy Bell Classic is all metal, available in silver or bronze, no paint to scratch off. Unlike the combo plastic & metal ones I've used before, this bell is sturdy & gives a consistent single ding every time. The clapper is triggered horizontally, which I find easier to do with my thumb as I'm riding than the type that have a vertical trigger. This design also avoids the occasional accidental ding you might get from riding over a bumpy surface. The other thing I love about the design is that the Courtesy Bell Classic is just a hemisphere, open to the bottom, so doesn't collect water inside it when it rains. I find the bells that have a bottom part often don't work properly in the rain because the water gets between the two & mutes the vibration of the bell, leaving you with a pathetic "Plick" rather than a "Ding!". The Planet Bike Courtesy Bell Classic retails for about $20. 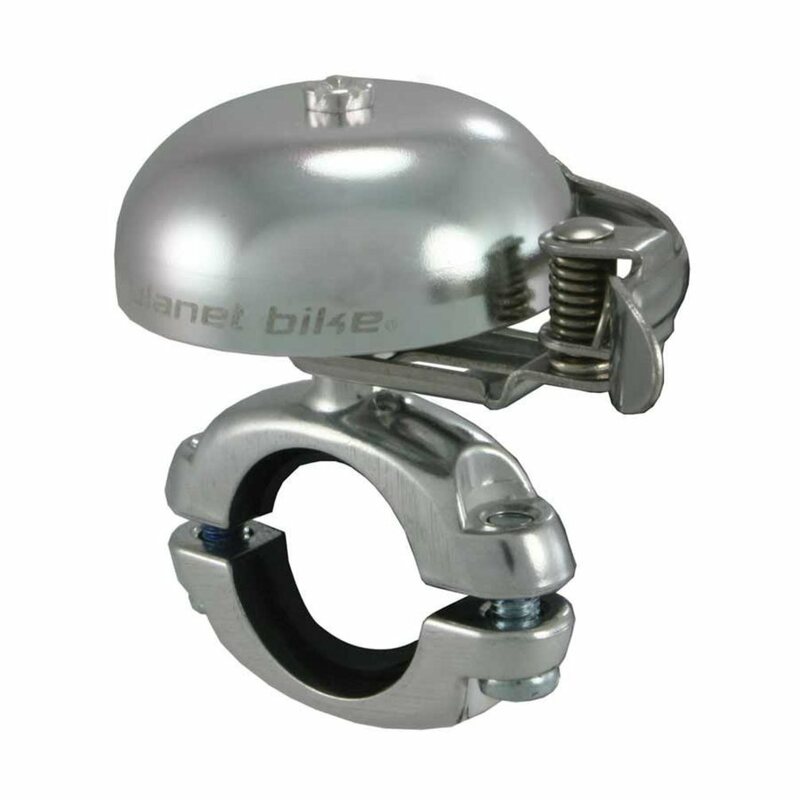 Disclosure: I received this bell for free from Planet Bike to facilitate this review. The opinions above are my own, of course!